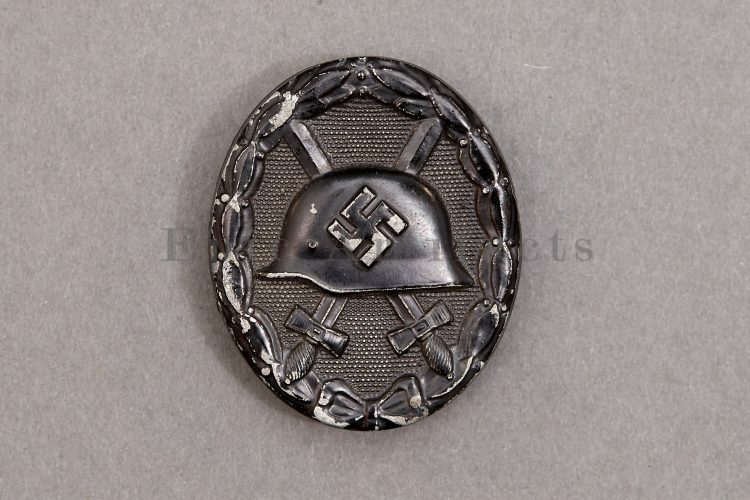 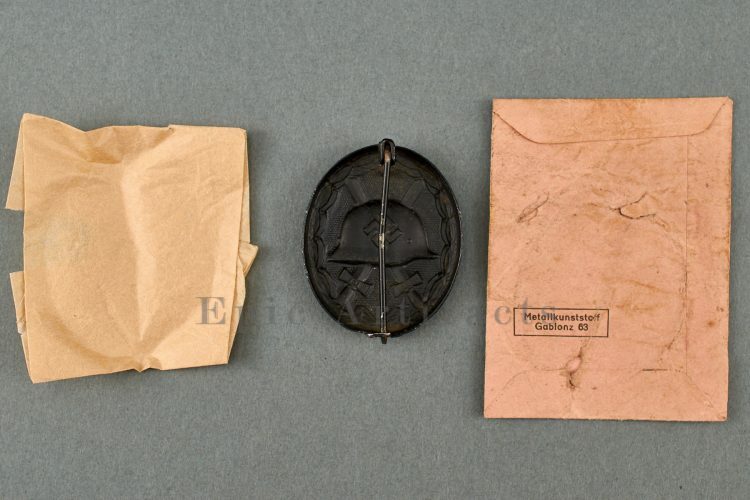 Product Description: A Silver Wound Badge Case is not an easy thing to find by itself. This one is in great condition and would be an excellent match for a really nice badge that is without a case. 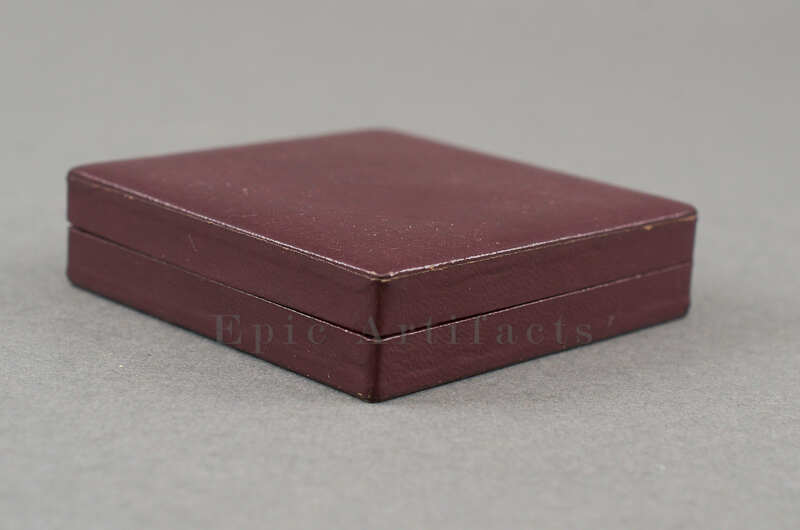 There is no damage to this case. 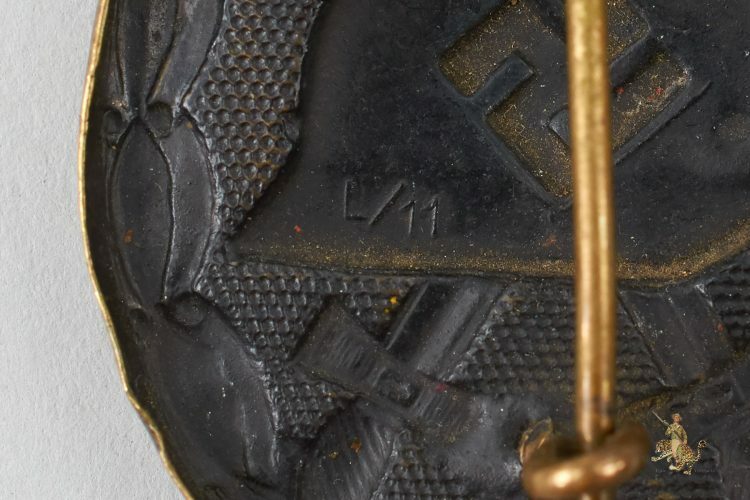 The outside shows only very minor shelf wear, with some tiny worn spots on the edges of the artificial leather covering. 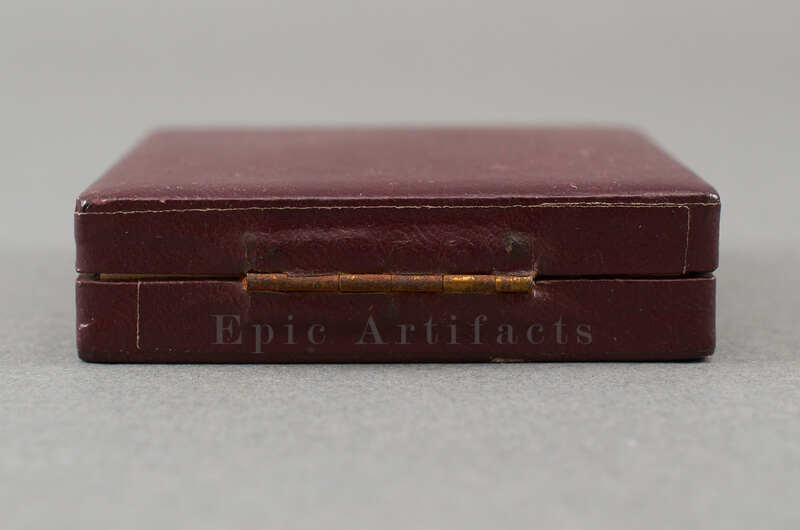 The metal hinge and push button are complete and functional; the inside is clean and has no issues. 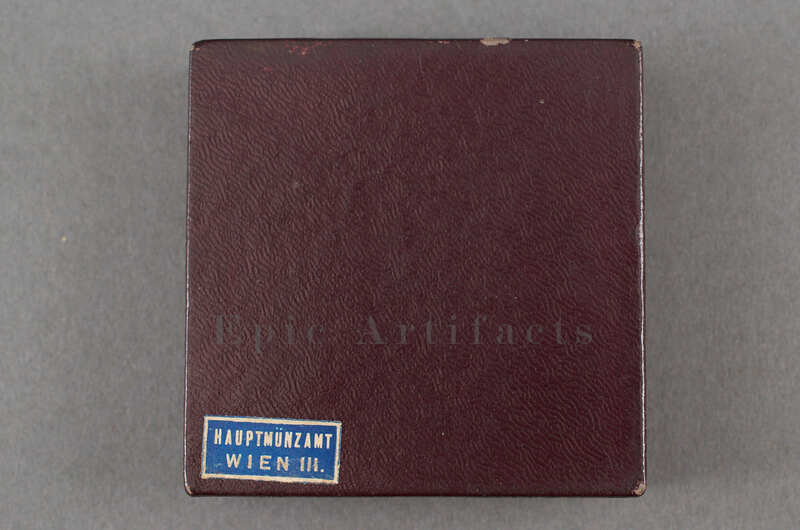 The underside of this case bears a maker label for “Hauptmünzamt Wien,” the Vienna mint. 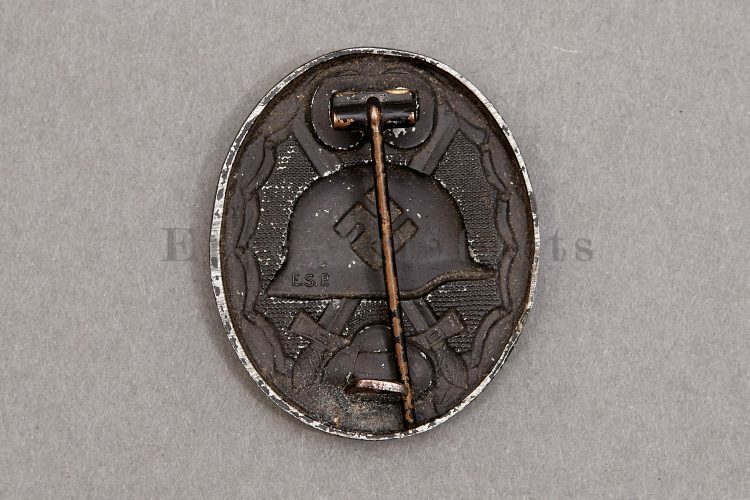 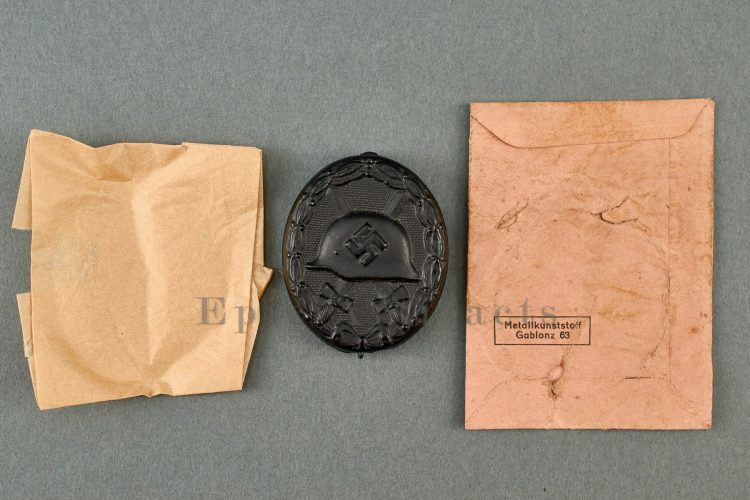 This maker is more commonly known by their PKZ number, “30.” They made both unmarked and “30” marked wound badges. 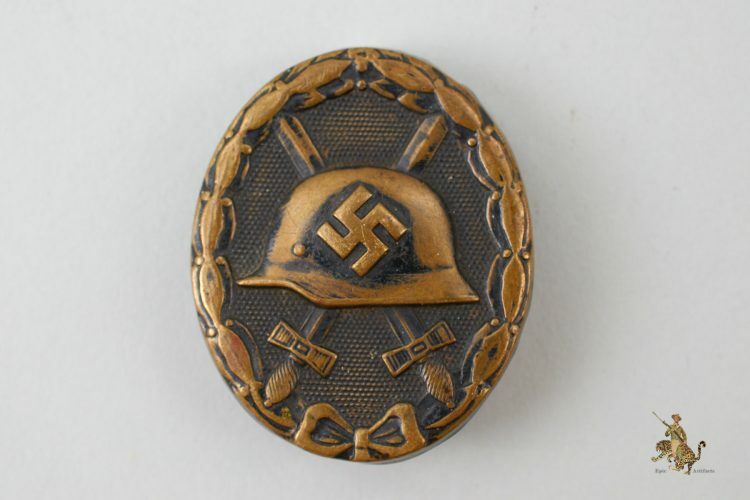 This is a nice example of an original Silver Wound Badge case, which is rarer than the badge itself.